What do taxpayers get for $13.2 billion in government spending on mental health? Not much, according to a new report by California’s Little Hoover Commission. In fact, as David Siders explains in the Sacramento Bee, the state cannot even document whether the $13.2 billion even improved any Californians’ lives. That is the legacy of Proposition 63, a 2004 ballot measure sponsored by Senator Darrell Steinberg that slapped a one-percent tax on millionaires to fund mental health services. As Little Hoover Commission boss Pedro Nava explains, backers promised the measure would keep people off the street, out of the hospital, out of jail, and even help people “make the move from tax user to taxpayer.” It didn’t, and it is “difficult if not impossible, to analyze the measure’s effect.” This has something to do with “overlapping and sometimes unaccountable bureaucracies.” This is the same measure, by the way, that Steinberg wanted President Obama to use as a model for the nation. As we noted in 2013, when Prop 63 had brought in $8 billion, California’s state auditor could not account for how the money was spent. The San Jose Mercury News found that the state had fewer psychiatric hospital beds, fewer doctors treating patients, fewer clinics across the state, and that in the previous year 750,000 Californians had failed to receive mental health treatment they needed. The Sacramento Bee wondered if the money had been “shoved down a rat hole,” and there is something to that. Steinberg is a former attorney for the California State Employees Association. 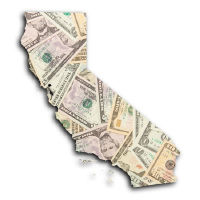 State employees got their Prop 63 money, and the rest was squandered on yoga, horseback riding, gardening, iPads, public relations videos and such. Senator Darrell Steinberg wrapped a spending initiative in a white coat and promised great things. The measure failed its intended beneficiaries but succeeded in funneling billions to his ruling-class cronies. By the time state watchdogs pegged the tab at $13.2 billion, Steinberg was safely out of office. That seductive dynamic will surely produce more white-coat initiatives but taxpayers would have to be crazy to vote for them.